The GST Council, in the 25th meeting on Thursday, announced tax rate cut on 29 items, while increased on 2. Uttarakhand Finance Minister Prakash Pant told reporters that tax rates on some agriculture products and some goods under the 12% and 18% were cut, while 29 handicraft products were brought under the 0% tax bracket. �The Fitment committee has approved relaxation on 29 handicrafts to 0%,� he said. These 29 items include second-hand vehicles, confectionery and bio-diesel. Speaking to media after the 25th GST Council meeting, Uttarakhand Finance Minister Prakash Pant told reporters, "Some of our recommendations and suggestions were considered but some of them were rejected. Around 29 handicraft items have been put in 0 percent slab. The tax has been reduced on around 49 items." He further said that decision on petroleum products is pending as of now while the presentation on real estate is yet to be made and showcased. Finance Minister Arun Jaitley after chairing the 25th meeting of the Goods and Services Tax (GST) Council here on Thursday said that the simplification of the return filing process was a major topic of discussion. "The Council felt that the Ministers' group, the IT committee and Nandan Nilek should discuss simplification process and formalise the alternative system following a video conference meeting soon," said Jaitley. 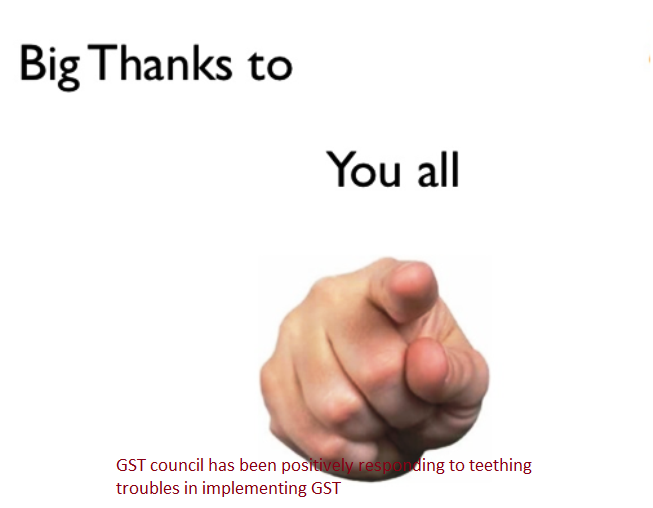 The GST Council, in a statement, said the new rates will be given effect to through Gazette notifications/circulars which only shall have the force of law.